This past weekend, Discover Main Street Clarence paid a visit to the Clarence Hollow Wellness Center (10946 Main Street) to witness Denise Miller’s T’ai Chi Chih class. There was a very pleasant group who participated in the Saturday morning class. It was the final class on a multi-week schedule. Serene music played in the background as the group went through specific movements. The confines of the Wellness Center are an inviting and relaxing place to focus on personal health. The building was a previously a church and has many of the characteristics of it’s former purpose: high ceilings, hard-wood floors, a balcony and more. With some serene music playing in the back ground Ms. Miller led her class through a relaxing series of movements. 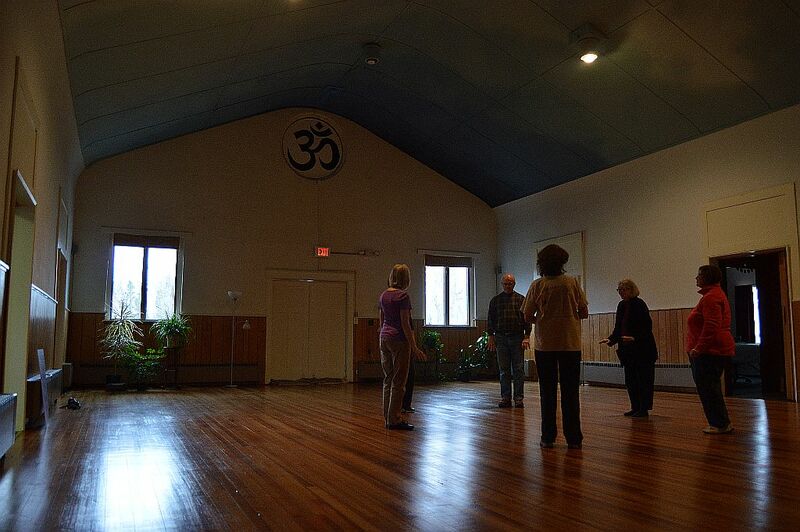 At times, the group move in-sync, with their eyes closed – almost in a meditative state. The whole room just felt…relaxed, which is kinda hard to find in today’s fast paced world. 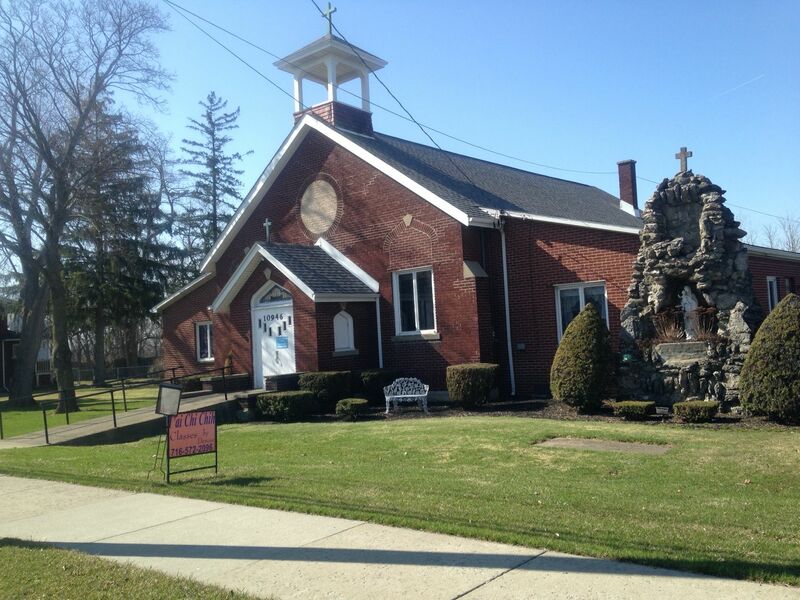 The former church now houses the Clarence Hollow Wellness Center. T’ai Chi Chih is a form of movement-based healing that helps unblock restricted area of people’s lives. T’ai Chi Chih uses a series of movements to help alleviate chronic problems such as arthritis, relieve joint pain, COPD and even depression. The practice also lends assistance to a person’s immune system, energy levels, improve memory, maintaining weight, and a general sense of well being. 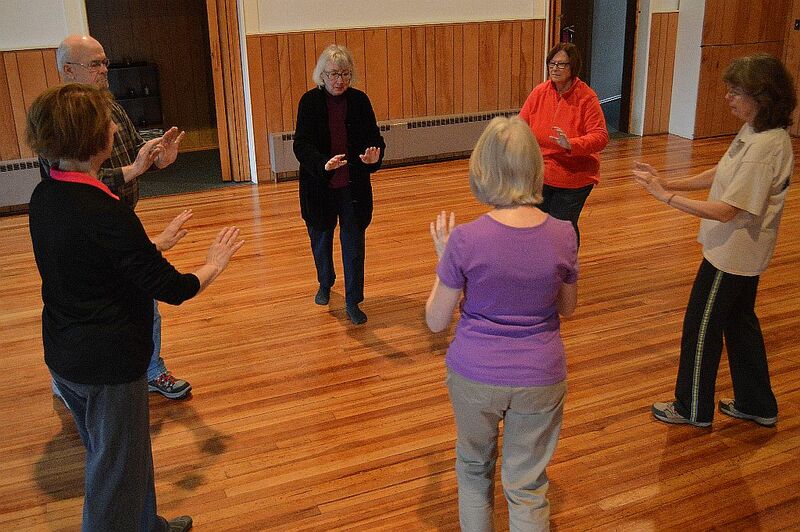 If you want to try a fresh start to improved health, a new T’ai Chi Chih class with begin Friday, April 17th from 1:00 p.m. to 2:00 p.m. You can learn more about the Clarence Hollow Wellness Center by visiting their Facebook page here.